APMEX, a leading online Precious Metals retailer based in Oklahoma City, has announced the first 2019 America the Beautiful release is now available to pre-order. 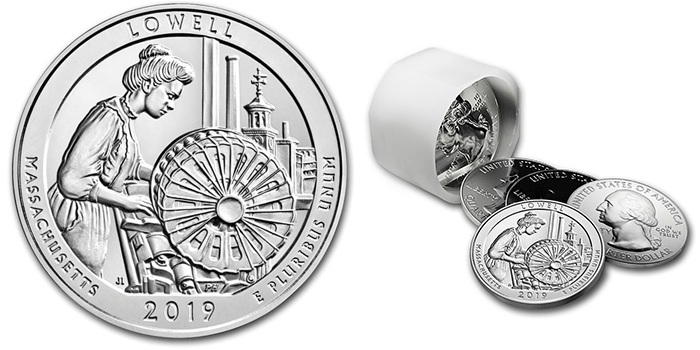 The 2019 5 oz Silver ATB Lowell National Historical Park coin, marks the 46th overall release in the series. Lowell attracted immigrants as well as migrants from within New England and Quebec, including a large proportion of young women. These “Mill Girls”, who earned cash wages and lived in supervised, company-owned boarding houses, became an important voice for labor by advocating for better working conditions, supporting abolition and embracing education. This 46th America the Beautiful release depicts a young woman working at a power loom with the Boott Mill clock tower and smokestack seen in the background. The obverse, like each prior coin in the series, features the iconic John Flanagan portrait of George Washington, along with the words “United States of America”, “Liberty”, “In God We Trust” and “Quarter Dollar”. APMEX offers a variety of purchasing options for anyone interested in the America the Beautiful Series. In addition to the single coin, customers can find MintDirect® tubes, available exclusively at APMEX. This process ensures each 10-coin tube was sealed in protective plastic immediately after being removed from the mint-sealed boxes, guaranteeing the tubes remain unopened, unsorted and unsearched. For more than 15 years, APMEX has been one of the nation’s largest Precious Metals e-retailers. In 2017, APMEX was ranked the #1 Specialty E-Retailer and #45 out of 500 e-retailers by Internet Retailer Magazine. 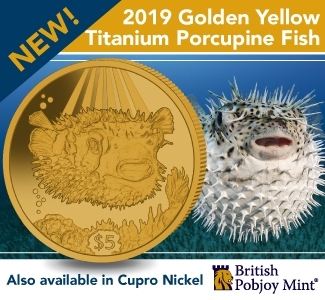 APMEX has the largest selection of bullion and numismatic items provided by a retailer, boasting more than 10,000 products and shipping to all 50 U.S. states and Washington D.C. with 4.9 APMEX reviews rating from Shopper APPROVED. Product offerings include all U.S. Mint bullion such as Gold, Silver and Platinum American Eagle coins. APMEX also sells products from leading mints around the world including The Royal Mint, Perth Mint, Royal Canadian Mint and many others. APMEX is a member of the American Numismatic Association (ANA), the International Precious Metals Institute and the Industry Council for Tangible Assets (ICTA).For additional information, visit www.APMEX.com or call (800) 375-9006.